Maybe third time will be a charm? DRYER WHIRLPOOL WGD6620HC0 "Called techline and said to try replacing harness, also check valve oriface for lp gas; ordrng 1 W11157861 (HARNESS)"
DRYER WHIRLPOOL WGD6620HC0 Installed new thermistor and control. Operation tested good today with wet clothes. DRYER WHIRLPOOL WED75HEFW1 Found exhaust vent inside dryer was loose causing the rattle. Realigned and put heat tape on to secure and tested. DRYER WHIRLPOOL WGD6620HC0 "Check inlet thermister at 69k or 68 degrees, cust said if running a small load is ok but running a large load he gets 3-3 code, order new inlet thermister and ccu, machines in cabinet, needs to be pulled out, call when coming back, phone number is 6128898031, possible gas oriface not change for lp gas; ordrng 1 W10623852 (THERMISTER) and 1 W11350212 (CCU)"
RANGE WHIRLPOOL WFE525S0HZ0 Customer stated the bulb burnt out and when she replaced the bulb it now flickers. The bulb she replaced it with was an led appliance bulb. We put a regular bulb in its place and the flickering went away. For some reason the led is not compatible. DISHWASHER WHIRLPOOL WDT730PAHV0 Installed new spray arm and made sure the element was working in diagnostics. Operation tested good. The arm must have gotten bumped off somehow. 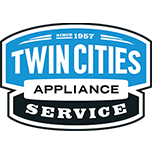 DISHWASHER MAYTAG MDB4949SDH3 "No error codes, run test cycle, ok splashing fine, instruct soap and rinse aid usage"
DRYER WHIRLPOOL WGD6620HC0 "Replace thermistor, test ok"
DISHWASHER KITCHEN-AID KDFE304DBL0 "3-1,3-2,7-1 owi sensor and sump bad, cust will call if wants fixed"
RANGE WHIRLPOOL MGR5775QDS Installed new oven light socket. Operation tested good. REFRIGERATOR WHIRLPOOL KRMF706EBS Customer stated water appears on the floor in front of the refrigerator. The only signs of water was a tiny bit of sweating on the suction line. When it leaks it is a pretty substantial amount of water. Sweating lines could not cause it. No cracks in the drain pan. Customer will try to pinpoint where it is coming from if it happens again. DRYER WHIRLPOOL WGD6620HC0 Installed new door assembly and ran a steam cycle with some towels. Operation tested good. DRYER WHIRLPOOL WGD6620HC0 F3 e3 outlet thermistor fault. The thermistor tested good from the board and directly at the thermistor. Customer is going to try it now that I reseated the connections. If the error comes back please send out the outlet thermistor. REFRIGERATOR MAYTAG MFF2558FEZ02 Fill tube frozen. Operation tested good after defrosting.